A Quirky Kook: Life Truths, The Essential Guide. The TeenTwins having reached 18 years old surely it must fall to me, as their mother, advisor and protector, to arm the pair of them, the best I can, against the slings and arrows that outrageous fortune might throw at them as putative adults. And even if it isn't, I'm going to have a go anyway. Not that they'll listen. Or believe me. Nevertheless here is my cut out and keep guide of essential truths guaranteed to lead to a happier, more fulfilled life for everybody. Blondes don't have more fun. They just talk about it more. Not everyone has a book in them. It's not what you know or who you know, it's what you do with what you know and who you're with. When someone says; "It's not you, it's me.." It's usually you. Sometimes people are knobs, you just have to learn how to handle them. Hearts don't break. They just feel like they do. Little white lies can hurt. Your hair will always look it's most fantastic the day you have an appointment at the hairdresser. Real men rarely come first. Refusing to admit you're wrong, doesn't make you right. Ever. 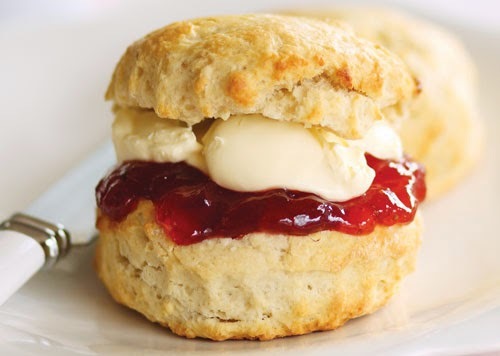 A scone. Not a scon. Yes it's a big truth that everyone is the same colour under the skin!